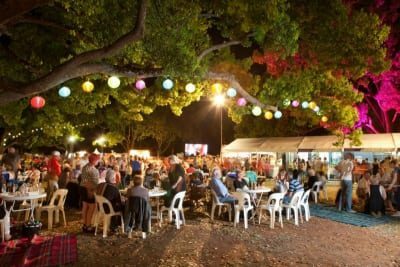 A signature event of Toowoomba Carnival of Flowers is the Heritage Bank Festival of Food and Wine. Find out why the world is beginning to lick its lips over Southern Queensland Country produce. It’s simply world-class and you can sample the latest offerings while losing yourself in a vibrant festival atmosphere. It’s three days of spectacular floral creations, prime local produce and boutique wines. See demonstrations from celebrity chefs and landscapers! Sway along to the cool concert sounds and enjoy the sublime musical line-up by some of Australia’s biggest bands. There’s so much to see and do you should consider a three day pass!